DO you know how many C2G grafts per day can be performed and the cost per graft of that procedure vs. CIT? I believe that was discussed here. Let me see if I can locate the thread. » I believe that was discussed here. Let me see if I can locate the thread. Any luck on that hairsite…I looked around, but didn’t see it. I was wondering what the price difference between C2G and CIT was…and what the daily limit was for the procedure. Is it 500 grafts, etc??? Any former C2G patients ever post here? » graft of that procedure vs. CIT? Our pricing is very competitive for the amount of experience that our clinic offers. We encourage all prospective patients to call our office to find out pricing after discussion of their case. Our medical director and medical assistants all have years of experience in our technique. One important fact to remember is that our transection rate is a mere 2%. We are constantly improving our method in hair transplant and have a full-time mechanical engineer on staff. 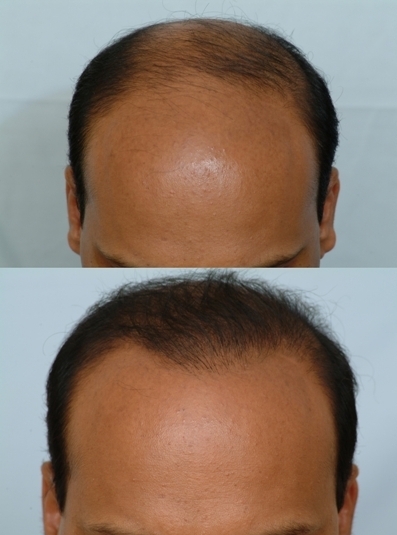 On average, our surgical staff consistently produces about 1500+ CIT grafts per day and several hundreds of C2G grafts. The daily graft limits of each preparation method constantly changes from day to day and patient to patient. 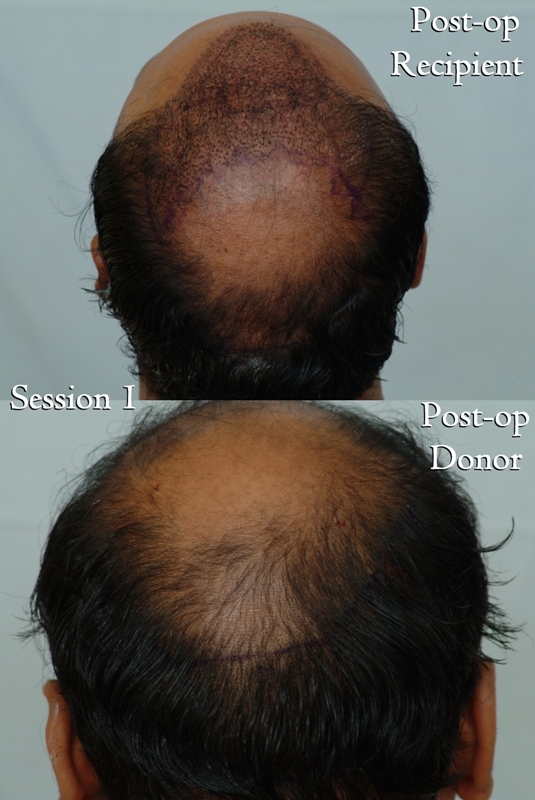 A great percentage of our patients may receive well over 500 C2G grafts in one day. Here is a patient who came to us for two sessions of C2G. 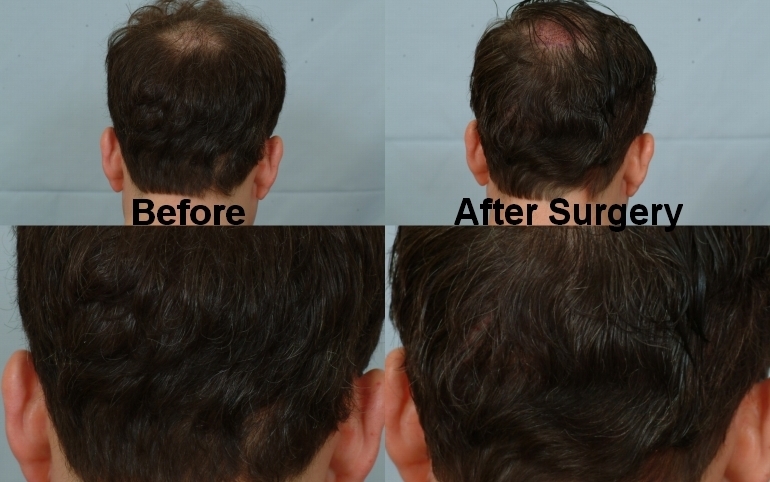 Last year, this Norwood 6 patient underwent a two-day session where approximately 1300 C2G grafts were transferred to the frontal scalp. The second session was also a two-day session where approx. 2000 C2G grafts were transferred to the top and crown. What is the difference, why only able to get several hundreds of C2G grafts? The difference is that there is less visibility in the donor area during C2G harvesting. Obviously, some additional time may be necessary to achieve comparable CIT graft counts. Our surgical team will normally transplant about 800+ C2G grafts on a given day. Also, keep in mind that our graft counts can change on any given day. » our graft counts can change on any given day. I’m not sure why other clinics don’t show results from any of the cases where the hair isn’t cut? I’ve seen a few CIT. Could it be that other docs aren’t willing to do it?